After Builders Cleaners Commercial & Residential Lewisham SE | Quality Property Care Ltd.
You can get in touch with us at any time of the day or night, just call 020 3746 4287 and our pro team will be more than happy to help you anyway they can. 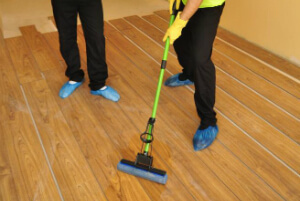 Our flexible booking allows for early morning and late evening cleaning slots, with availability during the weekends and even bank holidays, free of additional charge. Kitchens also get a special treatment, with attention to range hoods and stove tops cleaning, bench top and backsplash cleaning. In case some paint or plaster has gotten on the cupboards, we wipe their fronts down, including a specific finish to keep them safe from dirt, the exteriors of fridges are polished and cleaned if the finish allows it. We clean outside and inside of the microwave oven, with the sink left shining free of debris and junk. Again we pay attention to the finer details like fixtures around the kitchen, door handles, on top of door frames, fingerprints cleaned from doors frames and light switches, with floors mopped and vacuumed. All of the window sills are wiped down to ensure full cleaning. The company Quality Property Care Ltd. offers very efficient and highly professional commercial and home post-renovation cleaning services in Lewisham SE and the area. The cleaners are all very thoroughly vetted, trained, monitored and assessed. They use the latest cleaning technology and very efficient and yet safe (for you, your pets and the environment) cleaning solutions. The after builders cleaning service is very well organised and structured, which allows the team of fully insured cleaners to be as expedient as possible and to deep clean the premises and make them liveable as soon as possible after the builders have finished their work.